Festivals and food. Arts and culture. Shopping and sports. This is Adelaide - the Australian city where there's always something on. 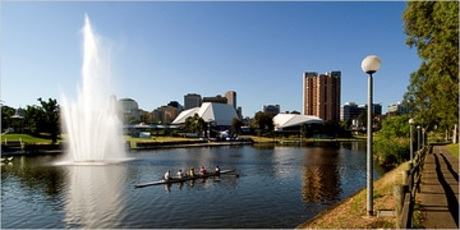 In Adelaide, there is a brilliant blend of things to see and do. The capital city of South Australia, Adelaide has the perfect mix of a beautiful city, pristine beaches, rolling vineyards, world class food and great wildlife. As well as a Mediterranean climate, Adelaide has a European influence with lovely historic buildings, superb Italian restaurants and a great selection of cultural attractions including museums, galleries and festivals. Flights to Adelaide, Australia operate from various airports. There are no direct flights to Adelaide, Australia if you're flying from the UK, however there is a good choice of flights available with a plane change or transit on airlines flying via the Middle East and Far East. The prices of flights to Adelaide will usually increase the closer you are to departure time and during peak travel times such as the summer months, Easter and Christmas. We would recommend that in order to benefit from the cheapest flights to Adelaide, to book well in advance and to avoid the most popular times of the year to visit. Founded by Colonel William Light in 1836, Adelaide was designed in the style of a grid with wide expansive streets, gorgeous parklands and lovely city squares. Adelaide has many attractions for visitors including the National Wine Centre for Australia, South Australian Museum, an excellent Art Gallery, stunning Botanical Gardens and the Tandanya National Aboriginal Cultural Institute. Hop on a tram for a trip to the seaside suburb of Glenelg or head into the Adelaide Hills, home to several wildlife parks and the Mount Lofty Botanic Gardens. 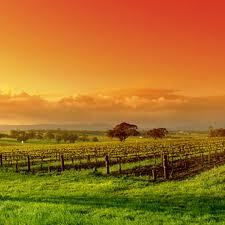 Just an hour from Adelaide is the Barossa Valley, one of Australia’s most important and well known wine regions. With over 50 cellar doors, taste some of the famous wines from this area including Jacob’s Creek and Wolf Blass and enjoy a gourmet lunch at one of the many excellent restaurants in the region. Directflights.com can help you to find the most competitive prices on cheap flights to Adelaide, try our flight search box which compares the latest prices for over 500 travel partners and airlines. We offer a fantastic selection of deals on low cost flights and can assist with finding you the best prices on lastminute flights too. 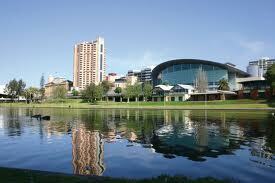 Adelaide has a Mediterranean climate, with hot summers and cool to mild winters. Rain falls mainly between May and August, but on average the city is fairly dry. Summers can be extremely hot, but in winter a warm coat is often required.